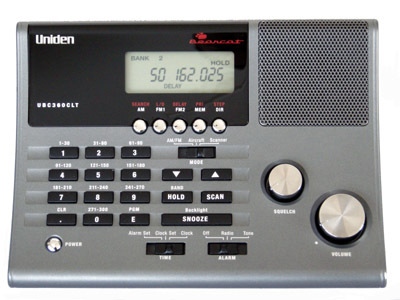 The Uniden Bearcat 360CLT is a recent base scanner. The scanner has a spacious layout, which makes it not to difficult to equip it with a discriminator output. 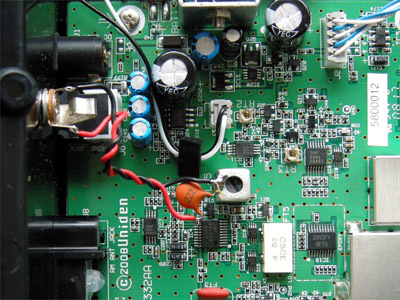 The receiver IC is an NJM2552. 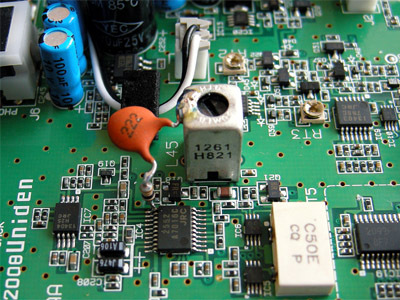 As the IC pins are separated only 0,65 mm (0.025"), good soldering skills are required, as well as a soldering iron with a fine tip. 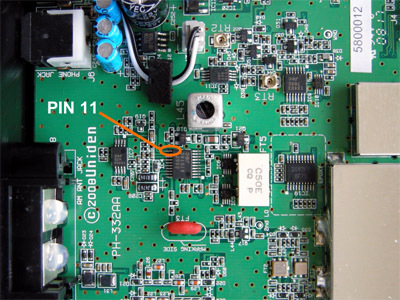 The baseband audio can be found on pin 11.